I am now in the process of converting my high pressure low volume, to high volume low pressure afterburner. 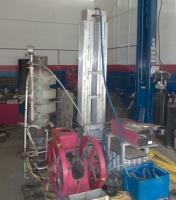 It is proving difficult to match performance of the high pressure intake system. Im thinking that I will need jets to convert the turbulent flow to laminar airflow low pressure thru the combustion stream with the low pressure system then for the burner to match performance. Edited 1 time(s). Last edit at 10/16/2016 08:19PM by Jeremy Holmes. Here are some recent pictures and this will be a pretty good example of the completed prototype. pic d is a look down the combustion passage Im not happy with this pic because the stages are not aligned well, also the super heater has not been installed yet. Also the liquid fuel disperser is not in this pic. If you look at the first section you will see some heat exchangers. These are on a hinge can be recessed in to the huddling chambers. When the engine is in stand by mode this keeps the pressure down in the flash steam circuit. 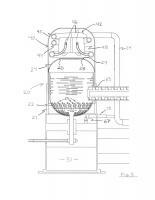 When ready to run the heat exchangers are pivot swing into the flame stream. Pic d is a good overall view of the complete unit. You will notice the condenser is installed. I am frustrated with the performance of the low pressure air injection circuit. I have also determined that the combustion chamber is to small to provide sufficient heat to all stages of the combustion stream. I have developed a fix and will now try to implement it. Basically there is not sufficient btu in the current combustion chamber. as the new combustion chamber will consume 3 times as much solid fuel (shell kernel corn). On another stage of development the injector valves are being constructed and I have enough CNC machined parts to build over 50 injector valves. I will update pictures of the new combustion chamber. Ive been working on my burner I had been using high pressure low volume air injection. The problem with that is you have to use a shop air compressor. 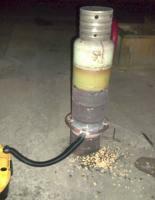 Its a problem because you have to use shop air so it is tethered to a air compressor. I have been working on a low pressure high volume system that uses a blower powered by a battery so Im able to get away from shop air. Its been a difficult transition and tonight I was able get the LPHV system to work, but im still not using preheated air. Although the results were better than other attempts. Im trying to get a blower that doesn't make a lot of noise. I have many injectors now, I can make 100 of them. 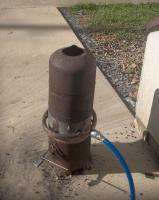 Im still doing some more patent work on the solid fuel burner. Edited 1 time(s). Last edit at 06/06/2017 12:12AM by Jeremy Holmes. Here's a quote from another fellow who has vistied with me and I have visited, he is very active in the steam engine community. Steam power is intrinsically inefficient because of the loss of heat used to boil water, to affect the phase change, because of the high latent heat of vaporization. When steam is condensed back into water, something necessary to do so it can be pumped back into the boiler to keep the process going, all of the latent heat of vaporization is lost. This is why there is a low thermodynamic efficiency intrinsic to a steam cycle. Needless to say many people have devoted much time to getting around basic laws of thermodynamics. It is not easy to do and a book can be written about the attempts. Davoud and Tinker and Jeremy Holmes have worked on re-using steam without condensing it." I would like to make it to next meet, But im not sure work will allow it. If it does I should have an injector and a burner to bring. Also I would like to run across "Heat of Rejection" for flash steam engines. Im building the new shop so it will be cutting close. I never quite understood why some say the latent heat is causing inefficiency. In a heat engine, heat will be rejected, that is the principle it works off of. I think it is lucidating to compare a Rankine engine to a Carnot engine. Carnot's engine is the most efficient heat engine possible, and the efficiency is (Thot-Tcold)/Thot. Since Thot for Rankine is not a single temperature, what you can do is find the average heat addition temperature. You'll find it near the boiling point. When I did that for some studied steam engines, I found them to be over 80pct of the carnot efficiency (IIRC), for hundred year old engines for example. Almost all the complications to the basic Rankine cycle that increase its efficiency, work by increasing the average heat addition temperature. Examples are higher pressure (boiling point increases), reheat, bleed. I think that rejecting at a single temperature like steam does in the condenser is actually superb when the heatsink has a fixed temp (not gliding), but unfortunately the volume of steam near ambient temps is too great for it to be utilized efficiently by small machinery. It is turbine territory, meaning big losses at our size and variability of steam state. Im really trying to make it to the meet this September. I would really be interested to campout with my tent, at Toms place. If there is a working shower and bathroom. 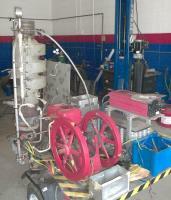 It will cost me several thousand dollars, so I have to make a working injector and the burner. I have a working after burner but its not optimized. here are some pictures if the mosfet array. There would be no injector valves without of the solid state switching. But it is also completely digital, so from a single cam sensor/pickup. So you could advance/retard angle setting. Also you can control dwell/cut off. But not only that, you get variable lift. Hi All, my biggest obstacle now is my (12volt)blower for the Hybrid convection burner. Im getting my best results so far with a 24 volt blower. In the process of getting a special tool made, so that I can replace the motors as I burn them up. The 12 volt mosfet array is perfected at this time. I have a bunch of parts for the L912 Injector and things are going good with that. It took about 5 years to perfect that system. I am updating this page on my site. The drawings are there now also a video with the HPLV air injection. This new content is from my patent application. Im looking forward to the steam meet in Barron Springs coming up. Im going take you up on the campsite for my tent, this will save some money. I bought a truck since my wife an daughter cant be without the cars they have. 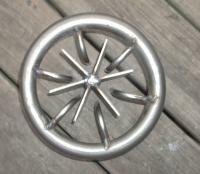 Im working hard on the corn burner, and hope to have a good demonstration for the meet. I will not be heating any water, that will have to wait till next year. Jeremy, I imagine you have covered this but given my memory I hope you don't mind answering this question. I know how your injectors work but do you have a way of adding superheat after the flash steam is injected? Thanks! the engine is 4 cycle, so that to the intake stroke pulls superheated (low pressure) steam, this is then compressed and the injector opens at TDC. Thank you! Seeing it laid out like that , especially with the animation , makes it much more comprehensible. It gives pause for thought. I wish I could be at the meet to see your burner but I expect you will do well with it. Edited 1 time(s). Last edit at 08/28/2017 09:16PM by Jeremy Holmes. This is one of second generation burners. It is a true HVLP burner. 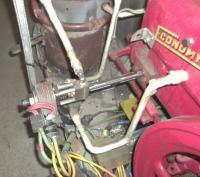 The next burner in this group will be improved as the air injection will be heated. I will need to plug into a 120vac socket to power the blower. Im so glad to get away from shop air. The blower makes a lot of noise but is compact and does not need reserve/tank. It uses about the energy of a hair drier. I will fit the blower with a 12 volt motor as things progress. Im bringing this burner to the meet, the pictures of the flame don't do it justice. The burner makes tons of BTU. You can be severely burned at 18inches of the burner exit. One thing I would like to do is weigh the corn kernel fuel and calculate the BTU output. Just keeping things simple this year, believe it or not, I bought a 89 Nissan pickup to attend this meeting. I got all new tires on it and did a bunch of tune up work. I cant use one of the other two cars since my wife and daughter need them. Hoping to have a mini vacation with this. Got to get my sleeping gear ready. When I make it there I will campout. I wont arrive till very late Thursday night.+ and plan to leave Sunday morning. Edited 1 time(s). Last edit at 09/07/2017 08:22PM by Jeremy Holmes. What are the inside dimensions of your burner enclosure? I will be doing a demonstration on a small boiler that will be approximately 7" wide by 14" tall, and was wondering if it would fit inside? Perhaps we could do a dual demonstration...or separately. it would give you a boiler to use for your demo and me a burner for mine. If not....not a big deal...I can bring a turkey fryer burner or similar. Inside of the burner is not a good place, after the burner. Make an adapter to set your boiler on top, with a shroud.. I would like to see a picture of what you have, The burner is solid fuel, but I must warn you there's ALOT heat being produced, and cannot be fire shut down once its burning. One of my techniques is to move heat out of the burner stream. I can make adapter, but need some more info. Well I made a reference to running my Economy 4 cycle engine with 2600 psi welding flux gas in another thread so I figure its best to come clean... Im running this engine from the flux welding gas after the "accident"
Edited 2 time(s). Last edit at 09/23/2017 04:57PM by Jeremy Holmes. Welll while everybody's attention..... this is some footage of the "L912 Injector", in the video its not possible for the action to be caught on video its so fast, you can hear it but not see it. This year Im going to be working on some new injectors, I have enough parts to make 90 or so. If I build 5 that will be doing good. 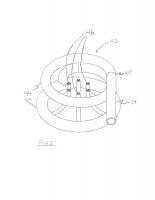 As a bonus the injector is patented. Edited 1 time(s). Last edit at 09/24/2017 08:55PM by Jeremy Holmes. That's some amazing stuff, Jeremy....I been been checking out your website and earlier posts...very advanced approach to making steam do work! Making the steam right there where you need it...at the engine. The fact that it is all digital gives you tremendous control...and your four stroke approach is brilliant. It takes thinkers like you to make mobile steam more viable in this modern age...and out of the industrial revolution. It's also commendable that your ideas didn't get stuck in "Theoryville" and you actually built the darn thing. Some people have great ideas and talk about them for years, but never pick up a wrench to make it actually happen. The proof is in the pudding...as they say. I would love to see a vehicle powered by your system...with modern computer controls keeping things at peak performance. Even though I am more of an "old school" guy when it comes to steam...it's refreshing to see those who push the envelope and modernize steam with high tech, innovative approaches like yours. Nice work! Your solid fuel burner really produced some heat! It was nice seeing you at the SACA meet. I still have yet to get the new air injector ring built with the after burner. I "so far" got the best results using shop air in the burner this was a HPLV system. The transition to LPHV has been a rough one. and im still playing catch up since then. This video show how well the HPLV system worked. But im catching up fast with the LPHV. I have been playing catch up but the transition is going well and expect it to surpass the old burner and with far less blower power using just a 12 volt battery that will run the burner for over 8 hours without charging..
Im now lucky enough to have to rewire my control panel since I used phone hook up wire, it does not respond well to vibration. I now have the joyous task of replace all the wire, fun fun. I heard from someone mentioning another user that had passed, that it was electronic and no one could follow his work. Id like to take a look at that and see if I could help. 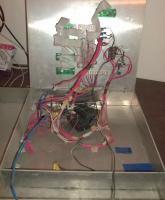 Im replacing with stranded wire, the control panel does not get hot so I already got wire. The main thing is very flexible wire and it does not get hot.. When I get to the wiring around the engine I use a thicker gauge and that has not given me problems. But the phone hook up wire breaks connection..